Every child has the right to enjoy the fun of playing sports, the joy of teamwork, the achievement of hitting a ball, making a goal, or crossing the finish line. Whether part of a team sport or enjoying an athletic activity geared for individuals, they can benefit from active pursuits. 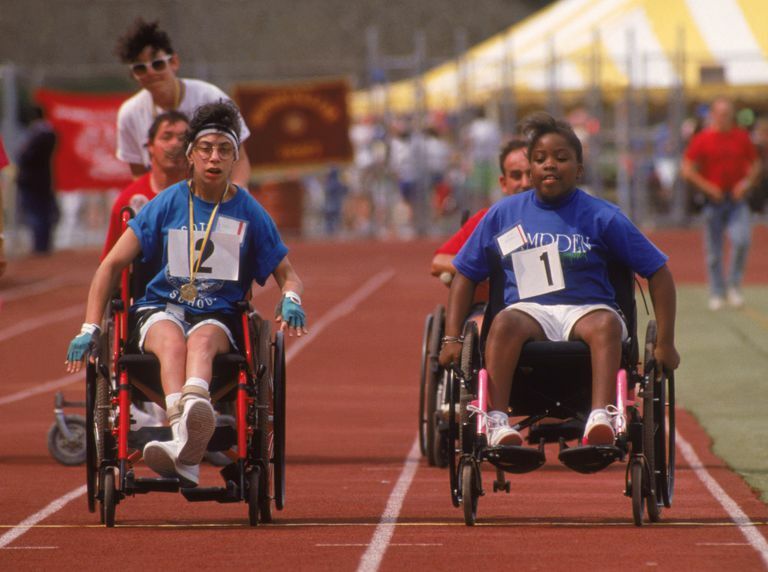 Many programs have been developed to get children and adults with disabilities in the game. Find one that's right for your child. These programs provide structure and support for a variety of athletic activities. Connecting with these programs, your child will be able to choose from among different sports. Special Olympics: Special Olympics offers opportunities in a variety of sports for individuals with intellectual disabilities. They offer over 30 Olympic-style individual and team sports. Special Olympics is a worldwide organization and is highly recognized. Unified Sports: The Unified Sports program brings athletes with and without disabilities together. It is part of Special Olympics. Their programs include a Rivalry Series where well-known college sports rivals face off with teams including both university students and local Special Olympics athletes. Paralympics: Paralympics provides competition for athletes with physical impairments. They include 29 different sports activities, including team sports such as wheelchair basketball as well as individual sports such as archery. The Little League Challenger Division and the Miracle League both allow children with physical and mental disabilities to play baseball in a supportive, non-competitive environment. Little League Challenger Division: Teams in this division are set up according to abilities rather than age. The formats include tee-ball, coach pitch, and player pitch games. Scorekeeping is discouraged. The players can enjoy wearing the same uniforms as other Little League players. Miracle League: This league was founded in 1998 with attention to the playing surface, ensuring it is free from safety hazards for players who use wheelchairs or walkers. Every player is a winner and everyone scores a run each inning. American Youth Soccer Organization and US Youth Soccer both offer programs designed to get children with physical and mental disabilities on a soccer field. AYSO VIP Program: This Very Important Player program gives everyone a chance to play. They use buddies to assist the players as needed. US Youth Soccer TOPSoccer: This program helps communities establish programs to place young athletes with disabilities on teams. American Special Hockey Association provides an adaptive ice-hockey experience for people with physical and developmental disabilities, while Special Hockey International offers "hockey for the developmentally challenged." American Special Hockey Association: This program gives people with physical and developmental disabilities the chance to play ice hockey in an environment adapted to their level of ability. Special Hockey International: This program focuses on those who are developmentally challenged. Teams are formed by ability rather than age. There are dozens of clubs throughout North America and Europe. They play to develop individual skills, without standings or championships. But they have a yearly SHI tournament for fun and camaraderie.